The people of Pokpok Island put on their best welcome at short notice to welcome the President of their Autonomous Region of Bougainville the Hon Dr Chief John Momis MHR and Mrs Momis during their visit to the Island on Monday 21 March 2016. It was the first visit for the President and Mrs Momis to the Island. In his welcome Chief Peter Garuai of Pokpok Island told the President that his Island community was honoured and privileged by his visit, this being also his first to the Island. It was an important visit, brief though it was, because it provided an opportunity for people in the community to see and meet their President face to face. Visits to communities by leaders are moments that people savour as they are occasions when people can hear from the Government as well as talk directly to the leaders like their President. In a traditional welcome led by the village women elders the President and his main party were adorn with fresh herbal necklaces and anointed with fresh toronisi coconut oil. The President and his accompanying dignitaries took turns to help themselves to the local Nasioi delicacy tamatama that is offered to visitors. A swarm of elementary and primary school children were also on hand to welcome the President and Mrs Momis as important guests on this occasion. Pokpok has two elementary schools and a primary school on the Island. Chief Peter Garuai told the President that any development in tourism on the islands and the benefits that accrue from tourism must be clean, lean and environmentally and people friendly with importance of conservation foremost in the minds of everyone involved. He said the islands are fragile and any tourist development must blend in with what the islands offer in terms of its pristine but fragile environment and must be always be in consultation with the population. Chief Garuai said the potential for tourism must go hand in hand with the need and importance for conservation and said the local people are the expertise on protection and conservation on their islands. Everyone on the Island grows up knowing that they belong to the island and the sea. It is a fragile landscape but it is inextricable connection which the people here have always been a part of, not separate from it. Chief Garuai also explained how Pokpok Island was recently granted its long time wish to have its own Village Assembly (VA) which comprised the main village of Pokpok and Sisirai and Uruna villages, a number of hamlets on the Island as well as a number of hamlets and settlements along Siipa bay on the mainland. The islanders settled on the name Metora Village Assembly for their VA, a name signifying communities dwelling along the coast and off the sea. The name Metora also behoves a sense of care and responsibility for an environment that is fragile and predisposed to the vagaries of open sea and unpredictable weather. It is the name that is also given to coral sand islands and shoal formations on the outer reefs which people use as resting places while out diving or fishing as well as for initiations of young girls and boys before they can venture out to the barrier reefs on their own. 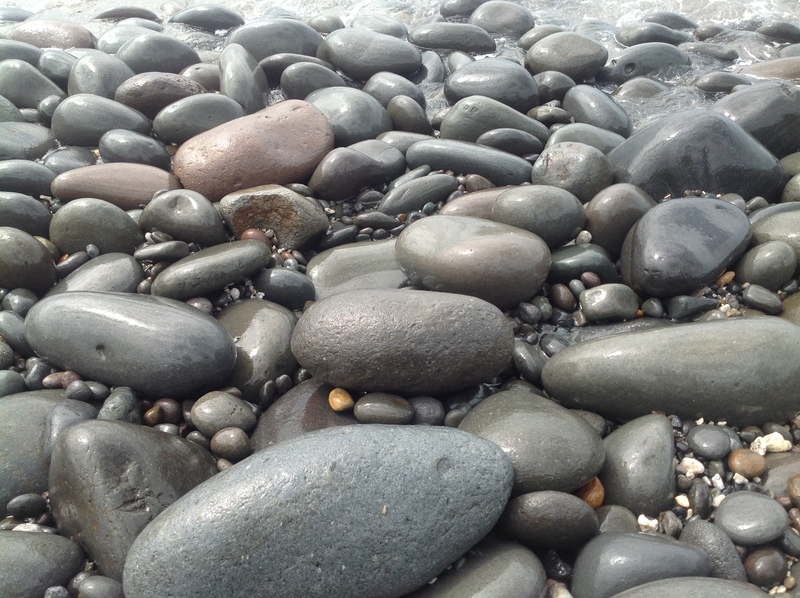 The Chief, Peter Garuai also pointed out that what is beautiful requires a great deal of thought and responsibility to care for and maintain. 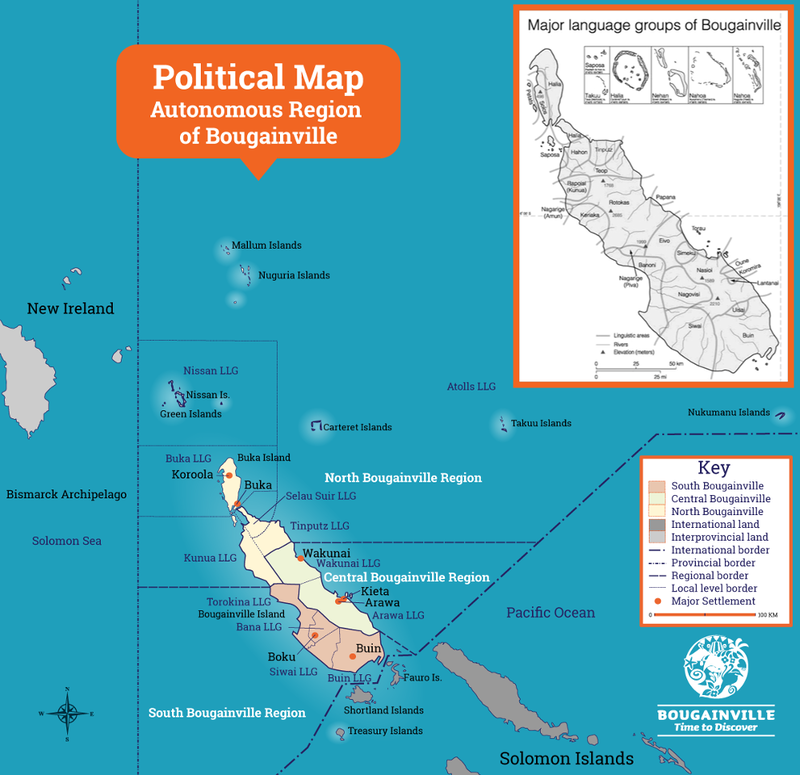 In this regard the threat of global warming is real for all islands like Pokpok along the coast of mainland Bougainville as much as it is real for the outer atolls. He mentioned government help was needed with materials for the islanders to construct sea walls to protect the villages on Pokpok, the main village in particular. Some of this has been started but government input in providing materials was urgently needed. The chairperson and president-elect of the Pokpok and Metora Women’s Association Ms Mary Gula also welcomed President Momis and Mrs Momis on behalf of the women on the Island. She said that Bougainville was blessed with women leaders taking on roles for the betterment of women in society through their involvement as equals in decision making at leadership level. With increased demands for care and responsibility in the village women are also involved in many roles like never before. For this year the women’s association on the Island has embarked on a self-help project to build a women’s resource centre. 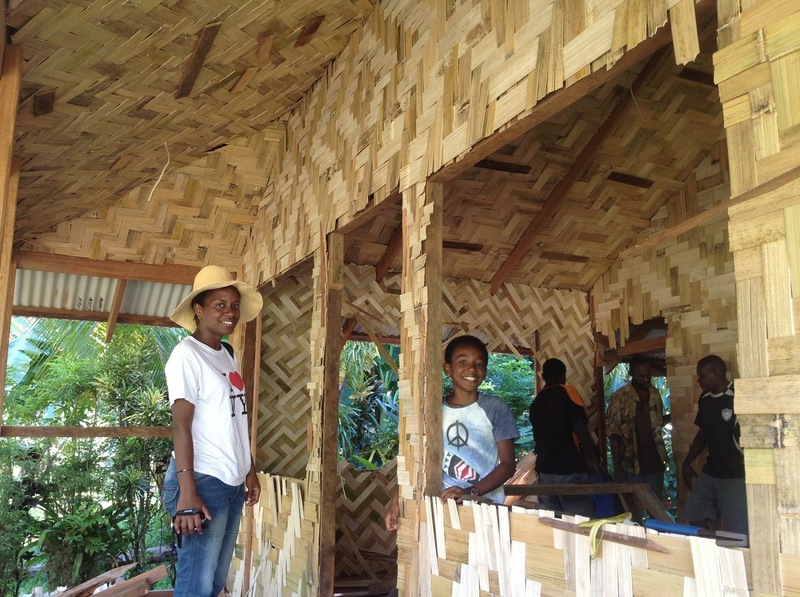 The men are already involved in helping the women to realize this project and the beginnings of the project has also been supported with preparatory funds and leadership by the Speaker of Bougainville Parliament who is from Pokpok Island. 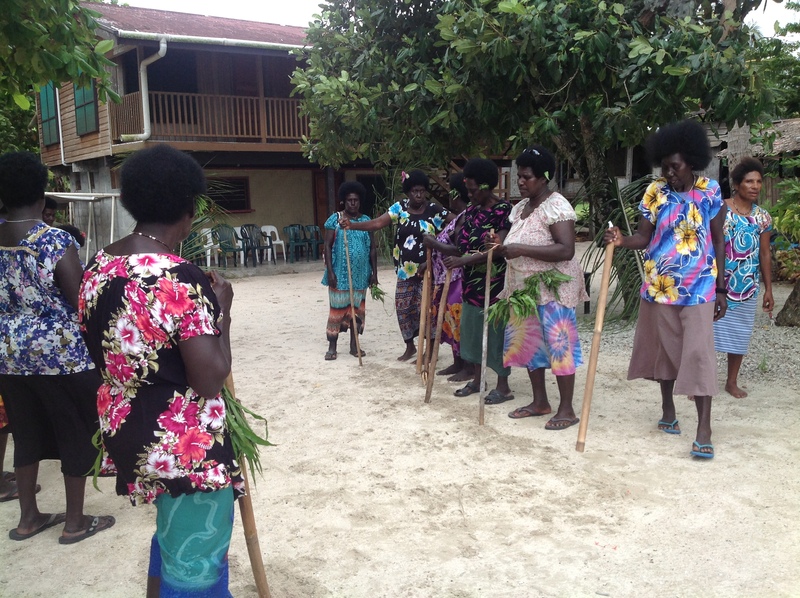 Ms Gula said women play a critical role of providing a steadying influence on the rapidly increasing young population on the Island and generally throughout Bougainville. She told the President any help that might be forthcoming from the government for the completion of the resource centre will be welcome. The visit by the President was planned as a sight-seeing detour from the mainland by boat ride to interesting areas in Kieta Harbour surroundings and around Pokpok and Tautsina islands and to the once resort Island of Arovo. The Kieta Peninsula’s jutting beaches and Assio Bay and the sacred site areas of Eberia from the sea all offer very interesting sight-seeing tours by boat. Boat ride farther north towards Kobuan Bay is also the site of Pidia Village where Mr Pip was made on location. 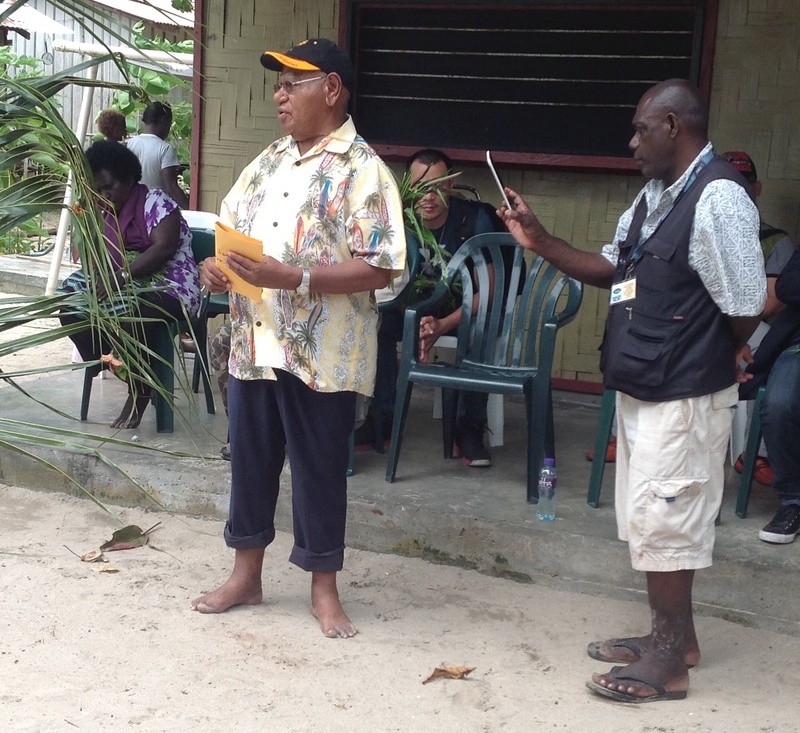 In his response and remarks President Momis thanked the Chief, the women and the community for the traditional welcome. He said the ABG recognises the huge potential for tourism in Bougainville but it has to be developed in consultation and with the participation of its communities. He was very happy that the original owners here continued to protect and care for beautiful Kieta harbour and for the environment around the islands which supports their livelihood. He said any development by prospective investors in tourism must be done through thorough consultations and is meaningful and beneficial to local communities and must respect their traditions, cultures and their natural environment. A new K7 million a year support package will help Bougainville cocoa farmers boost output, improve quality and gain better market access. The Commodity Support Facility (CSF), launched in Buka today (Thursday, March 17), is a joint economic development initiative of the Autonomous Bougainville Government (ABG) and the Governments of PNG, Australia and New Zealand. The CSF offers grants and targeted assistance to cocoa farmers, dryers, fermenters and traders from across the autonomous region. The whole-of-industry support package will improve access to cocoa pod borer tolerant planting materials, and establish new farmer field schools to help smallholders lift production. Measures will include financial literacy and business management training, and a competition to design improved cocoa dryers and fermentaries. The CSF will, in the future, expand to support other primary industries prioritised by the ABG, such as coconut or marine resources. ABG Minister for Primary Industries Nicholas Darku said the CSF would help Bougainville’s cocoa industry recover from the impact of the cocoa pod borer. “We have two ingredients on Bougainville. One is fertile soil; the other is hard working people. “With this support, I know the industry will come back. We will increase our production and ensure Bougainville cements its reputation for producing fine flavour cocoa.” National Coordination Office for Bougainville Affairs A/g Director John Avira said cocoa is a very important cash crop for Bougainville. New Zealand High Commission Counsellor Development, Kathleen Pearce, said the CSF would help everyday Bougainvilleans earn more income and provide revenue for the ABG. “Cocoa is Bougainville’s most important cash crop, involving about twothirds of Bougainville families,” Pearce said. 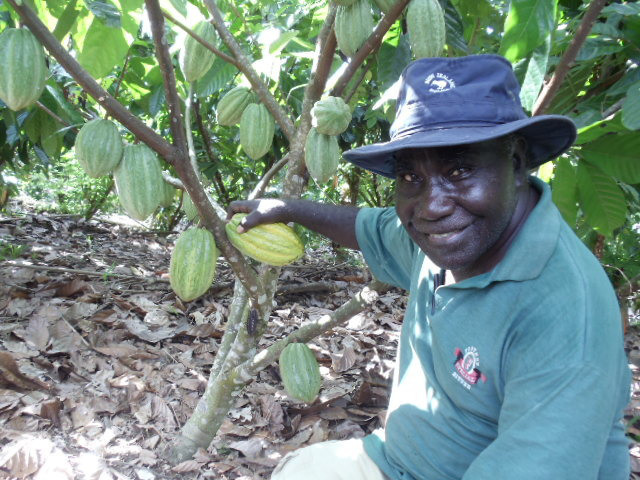 A recent study of Bougainville’s cocoa industry found farmers could comfortably triple their production by using the right planting materials and improving their management practices. “We are getting there. We will get there. It requires careful planning, training, meaningful government support and private enterprise, including private operators to be involved together. On top of it all perhaps, it requires an active Bougainville Tourism Association to be in place coordinating interests up front with a combination of foresight and passion for long term success in getting this green and clean industry on the right and firm footing in Bougainville. “For every promotion and advertorial to attract tourists to our shores we must put even more effort to provide the facilities and services that tourists take for granted when they travel to well travelled and well developed tourist destinations in the region. Every region, province, district, locality right down to the communities and villages in PNG has its unique attractions, wonders and mysteries yet to be discovered. In an age when mass tourism for dollars and cents compete to lure tourists, PNG over the last 40 years has somewhat wisely and in its own laid back way chosen instead, wittingly or otherwise, to go the way of sense and sensibility rather than purely a grab for dollars and cents. True, every tourist dollar is important. Indeed, for some small Island states it is both the breadbasket and the mainstay of their economy contributing sizeably to their annual GNP. 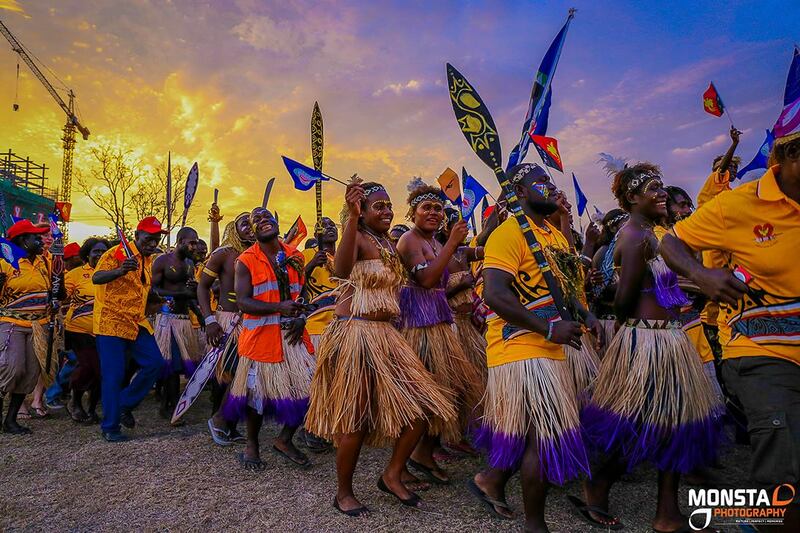 For PNG the preservation of its many traditions and cultures, many of them unique and surviving the onslaught of so called modern civilisation, has also occupied the minds and careful planning and consideration of those tasked with developing tourism policies and programs in PNGTA. This is admirable considering that the impact of tourism has its downsides as well. For every tribe, clan or sub-clan their culture is their identity in dance, drama, chants, prose and the plumage and attire they don on very special occasions. It counts for a lot more than monetary gains. 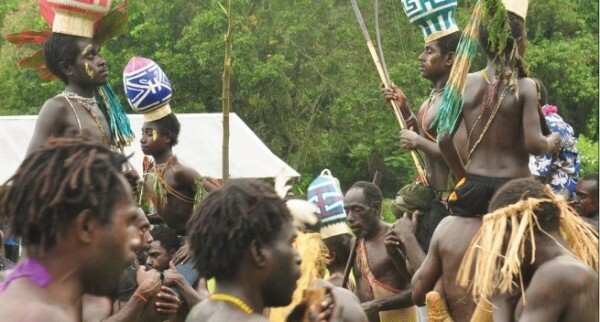 Bougainville, which until 2010 was one of the twenty provinces of PNG, was also very much a part of PNG tourism planning that encompassed the more readily accessible provinces and areas. Bougainville, or North Solomons Province as it was known then, had a fully fledged and very well run tourism association that promoted sight-seeing, trekking, fishing, diving, a small group of motor cross enthusiasts and regional and local cultural shows across north, central and south Bougainville. Most of its promotional activities, like much of the business and commerce at the time, was centred in central Bougainville where the Panguna copper mine was also situated. Picture above: In 1884 Bougainville came under the control of German Empire. Picturesque Kieta was established as Administrative Centre in 1905. 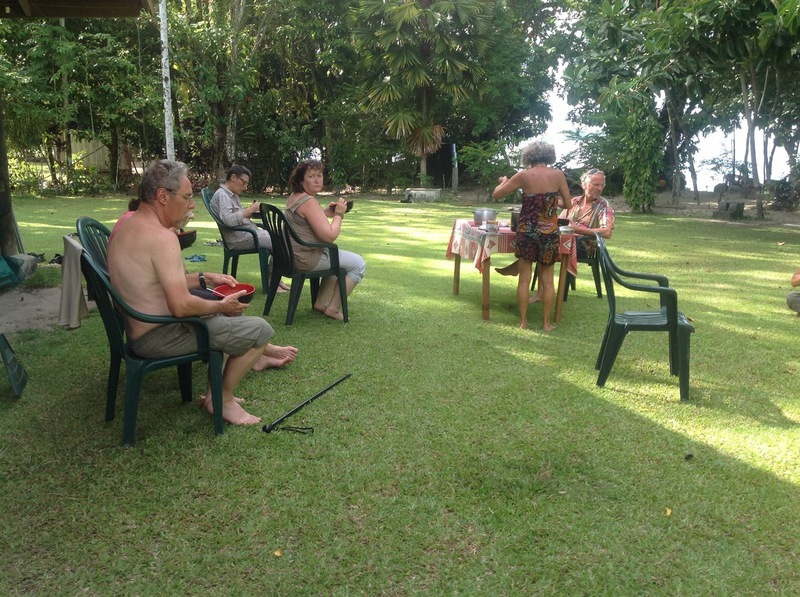 Picture below French tourists at Uruna Bay Retreat on Pokpok Island 2015. While the mine was then the prime catalyst and lure for Bougainville’s development from out of the backwaters as a distant place from Port Moresby, its beauty as a tourist destination was obvious as early back as 247 years ago. This was when on 04 July 1768 the French explorer Capitaine’ Louis de Bougainville made landfall and noted in his journal then the existence of mountains of ‘prodigious’ heights. 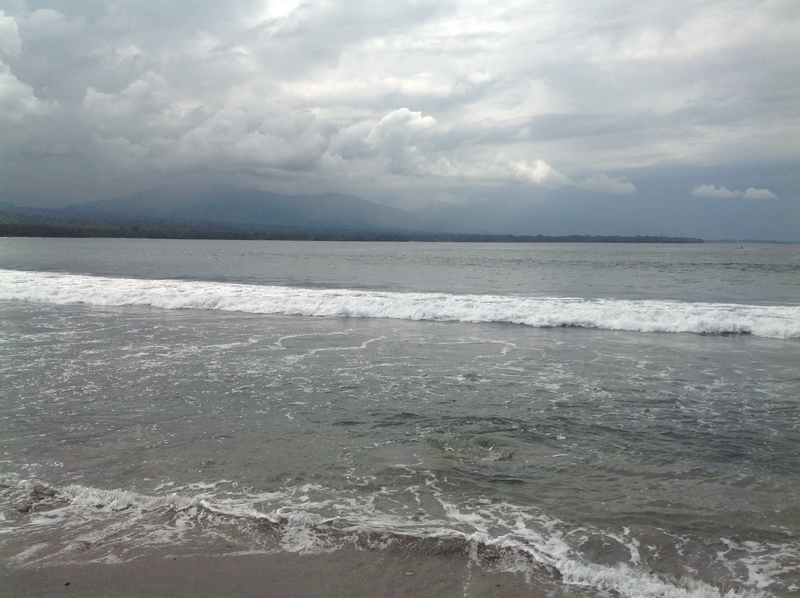 The Frenchman was so taken by its beauty he named the unchartered Island “Bougainville” in honour of his family. 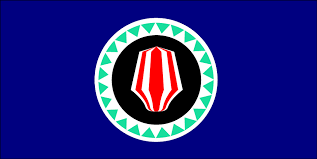 Prior to the crisis in the days of the NSP the Bougainville had a very active tourism association, the North Solomons Province Tourism Association (NSPTA). 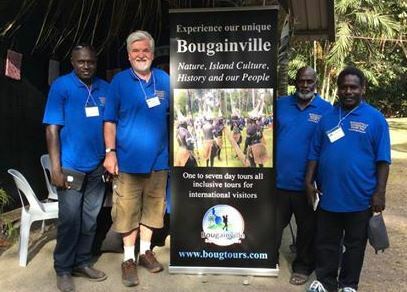 The Association was active in promoting tourism through brochures, post cards, promoting local artefacts and handcrafts, cultural events, walking, trekking, fishing, diving and pointing out the history and historical sites, relics and remnants of WW1 and WW2 on Bougainville. 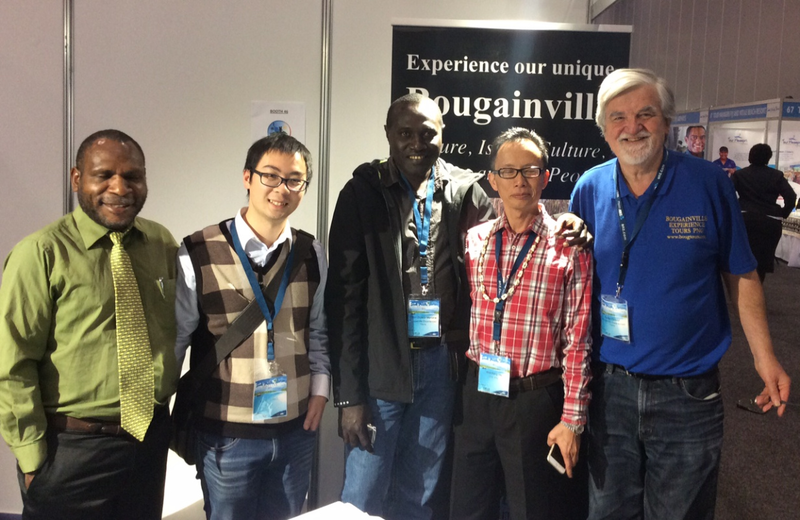 The Association provided a lot of interesting insights and reading as its contribution to what else Bougainville offered other than the huge copper mine that was the humongous money earner for the country up until the mined was shut in late 1989. The Spanish prophetically named these isles after King Solomon, thinking they had discovered his gold mines. And truly in the heart of her bosom , Bougainville cradled one of the largest copper mines in the world [from NSPTA “Welcome to Bougainville” promotional brochure]. 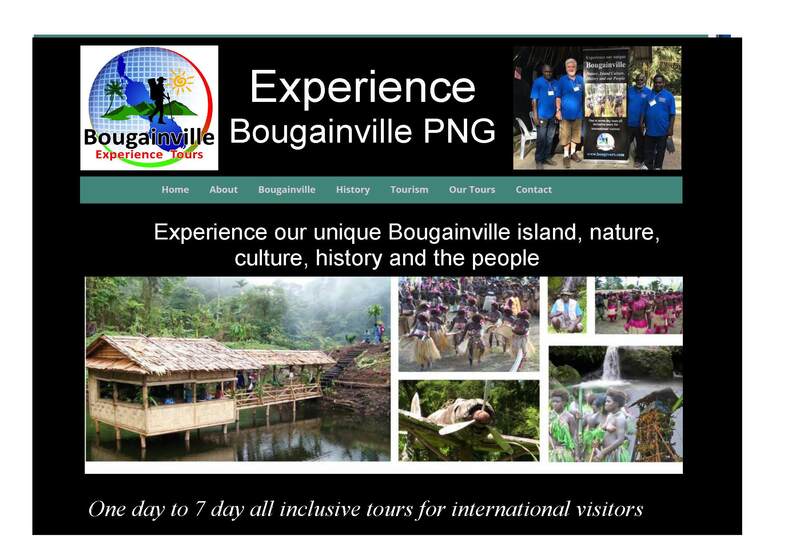 NSPTA published and distributed “Welcome to Bougainville” brochures promoting the Island that was here waiting to truly entertain you with her rich culture, her beautiful tropical environs, and her people. The awe inspiring beauty that captivated French Captain de Bougainville, well over two hundred years ago, has truly remained to this day. [from NSPTA]. 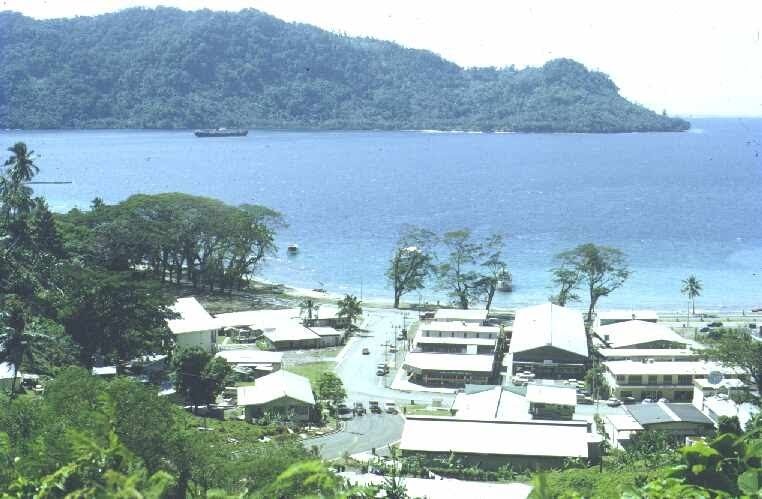 Bougainville at its height in tourism then offered Arovo Island Resort as its jewel in its hospitality crown, a joint and cooperative effort of business houses, Bougainville Development Corporation and the NSPTA. Arovo provided good island accommodation, day visits, diving and dive shops and game fishing competitions to look forward to. Other hotel accommodation included the Davara Hotel at Toniva and Kieta Hotel. 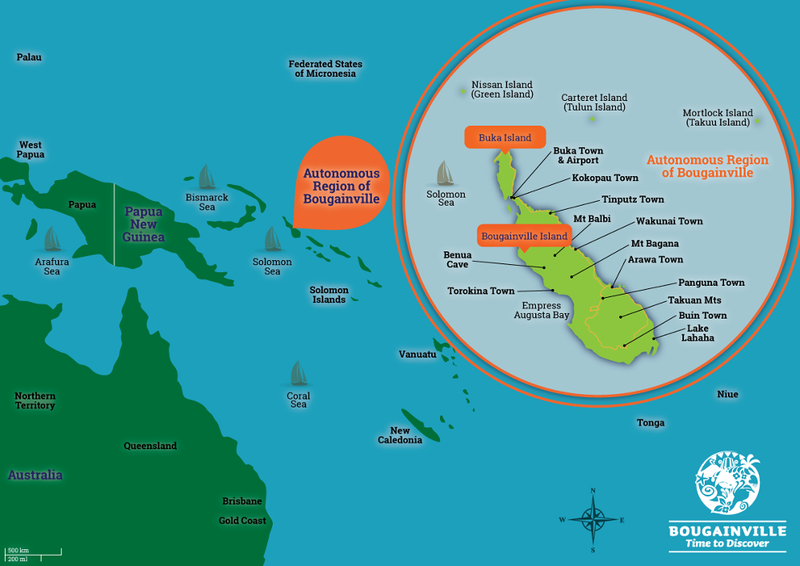 The expatriate population around mining and from subcontract companies and independent investors provided a good source of “tourist” revenue venturing south as far as Buin and north as far as Buka to explore the surfs, sunken wrecks, caves and sink holes and just plain sailing on the weekend out as far as the borders with the Solomon Islands from sailing clubat Loloho and the Yacht Club in Kieta. 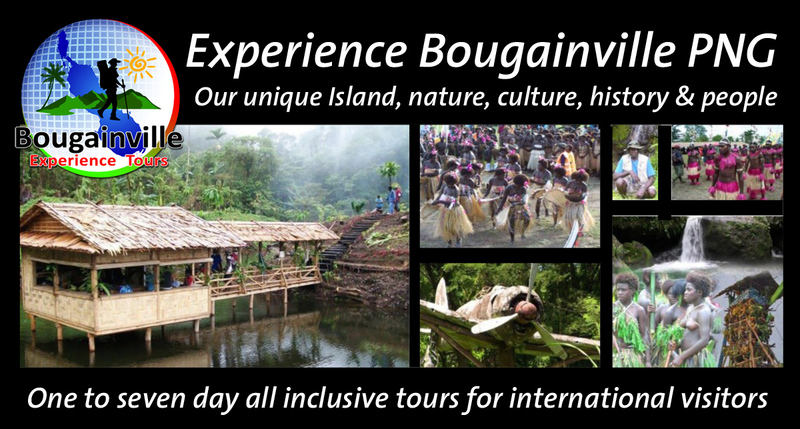 Like any recovery after any conflict anywhere, resurrecting tourism in Bougainville to compete in the country and in the Pacific region is going to take many years. How we start and where we start is going to determine how we perform and where we might end up. There is a tremendous lot we can learn from PNGTA. For every promotion and advertorial to attract tourists to our shores we must put even more effort to provide the facilities and services that tourists take for granted when they travel to well travelled and well developed tourist destinations in the region. There is a lot we can learn from Fiji but we do not have to be like Fiji. There is certainly a lot too we can learn from the former French and British condominium of New Hebrides, now Vanuatu, but we do not have to cause ourselves any pandemonium by rushing and expecting instant results. 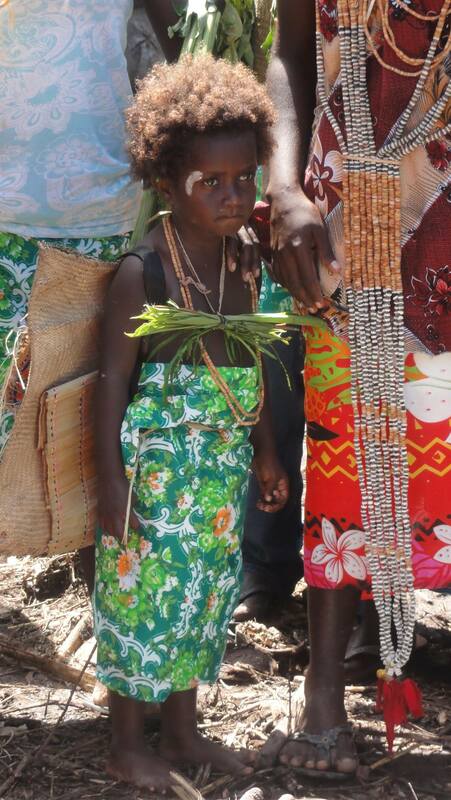 The neighbouring Solomon Islands might provide a good lead for us in terms of learning how they are coping. But certainly, having said all that, there is a lot we can learn about eco tourism and community tourism that can be embedded with social development as a direct benefit from tourism to local communities. Strengthening connections and opening good lines of communications with PNGTA, with the imprimatur from ABG and involvement with and by local operators will see many benefits. 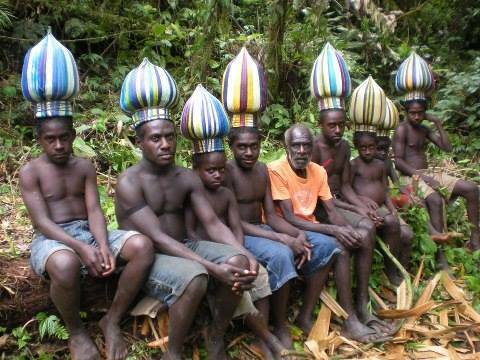 Airfares to PNG and into Bougainville is a killer for tourists. So too is the price of accommodation. 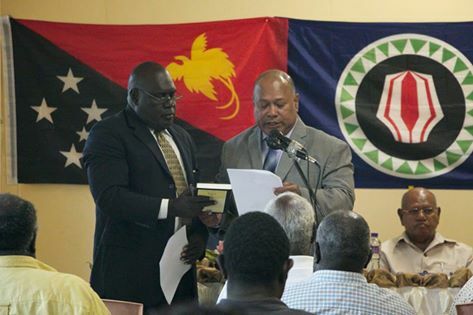 There is no doubt they are both enormous deterrents to travel and stay in and around PNG and in Bougainville. Almost all decent accommodation in Bougainville is more expensive than comparable accommodation anyway else. This is not something we can shrug our shoulders and casually pass over or ignore. We are getting there. We will get there. It requires careful planning, training, meaningful government support and private enterprise, including private operators to be involved together. 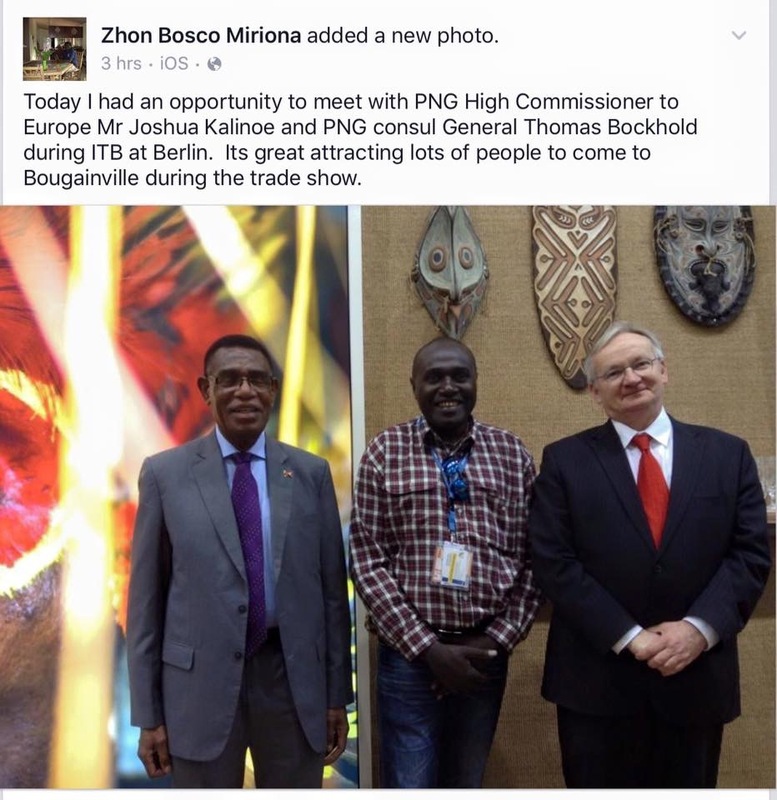 On top of it all perhaps, it requires an active Bougainville Tourism Association to be in place coordinating interests up front with a combination of foresight and passion for long term success in getting this green and clean industry on the right and firm footing in Bougainville. It will take a long time before we start talking about millions in tourist dollars. It will not happen without putting any effort in planning and providing the facilities and services that tourists expect. We cannot go out selling Bougainville as a mecca for surfer’s, trekkers, divers, game fishers, beachcombers, eco-green visits, etc without providing adequate facilities and services on the ground. 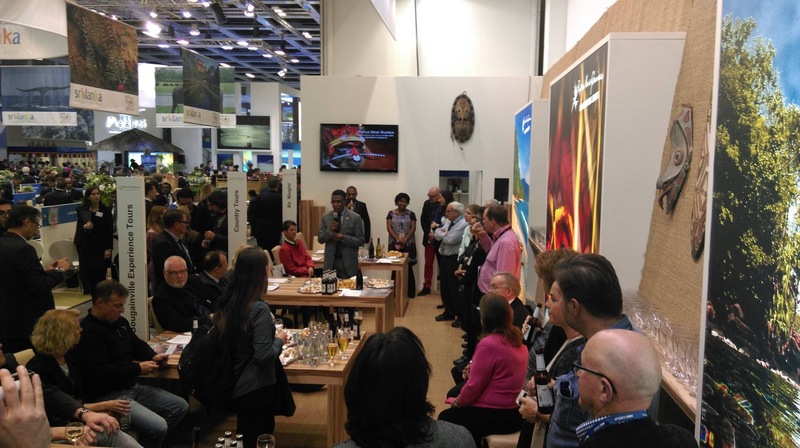 Our increasing attendance at world tourism expos and international tourism meetings should open our eyes to appreciate we have a lot to do on the ground. “In his public office, a leaders first responsibility is to the people he or she represents or on whose behalf he is working. This responsibility must override self interest. A leaders first loyalty must be his office, not himself. 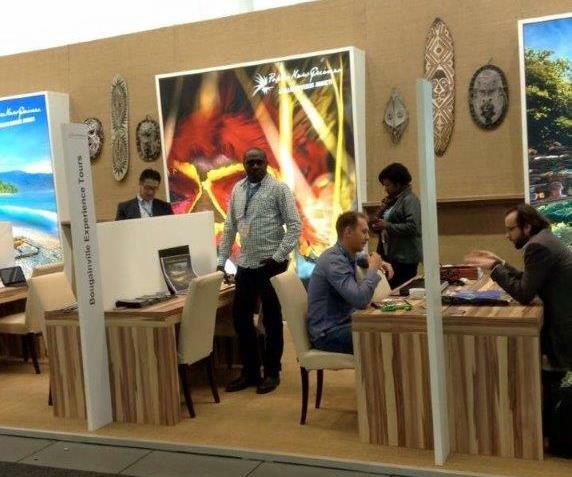 Update from Zhon Bosco Miriona from Bougainville Experience Tours in Germany ( our stand on PNG Tourism at left) Hi everyone at home and everywhere around the world..it has been great here at ITB promoting Bougainville. It was a great opportunity to attend the international show trade show. 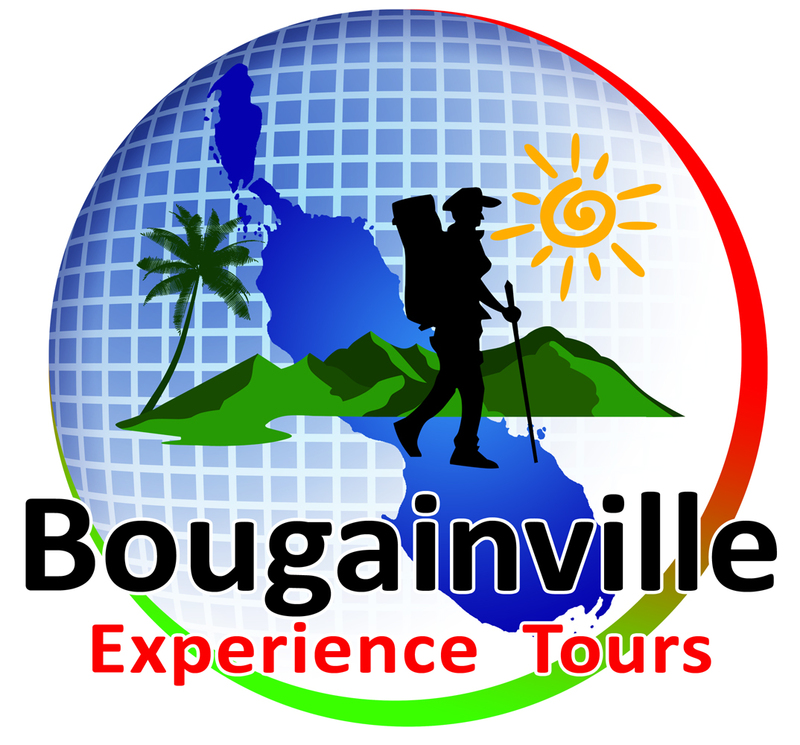 Tourism on Bougainville is another economic gold mine, a potential foreign currency earner, and income generator and the perfect tool to market Bougainville to the world. A lot of village based people, especially those living in Bougainville rural areas, still need the light of reality to shine on them. 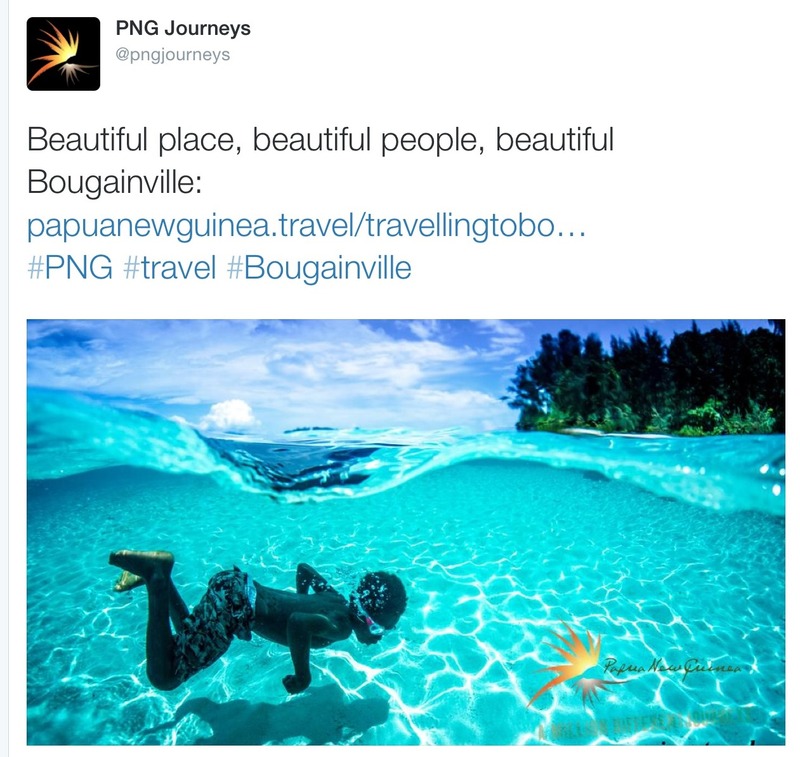 The major issue affecting tourism on Bougainville is the crisis propaganda still stuck in people’s heads. 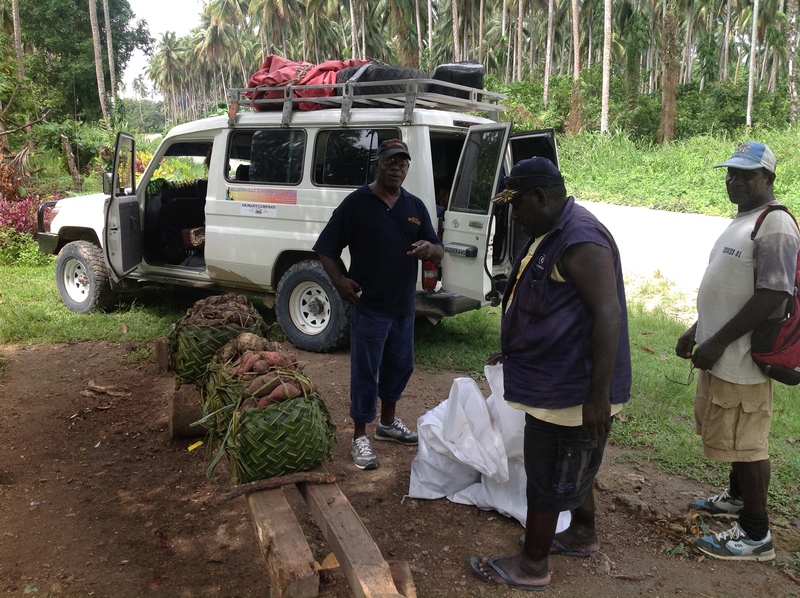 A local tourist operator on Bougainville, Bruno Laita, told the PNG Loop that propaganda regarding tourists coming into Bougainville still exists and it needs to stop. 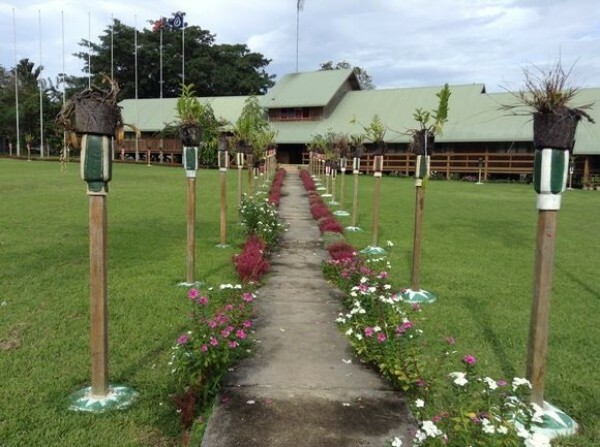 “Tourists are foreigners coming in to enjoy the beauty of our home, Bougainville, but some are being discouraged by high prices, and these so called rumours that they are spies being sent by Australia America and PNG to spy on us, propaganda at its best, this has to stop,’’ Laita said. “We have issues of people demanding money before we go see sights on their land and some say foreigners are not allowed. “And the kind of money they demand is K10, 000.00 and upwards as if they own five star hotels. “We also have another issue of people accusing tourists as being spies coming in to spy on us and those tourists are coming in to spy on our gold and copper deposits. These are all rubbish,’’ he said. Laita said that the ABG needs to fund the Tourism Division so that it can deal with these issues in which awareness is highly recommended. 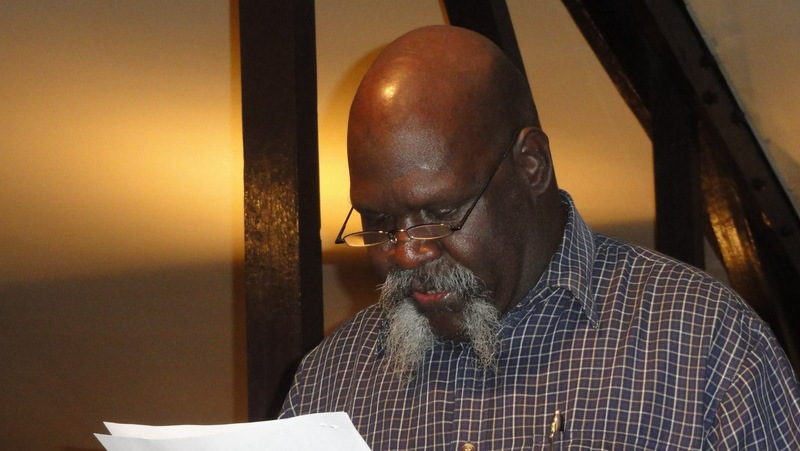 “This is a very high potential division in the Bougainville administration; tourism gives the potential for grassroots to participate in activities like being tour guides and dancing in singing groups to entertain tourists,’’ he said.